Some years ago now my brother Bruce got two recipes from NPR for cranberry sauce. That was his “specialty”…and though we haven’t shared Thanksgiving with them in quite a few years, this Garlicky Cranberry Chutney is a mainstay…this is Susan Stamberg’s favorite she says…originally from Madhur Jaffrey’s cookbook “East/West Menus for Family and Friends (Harper & Row, 1987)…I made it last night and it’s ready to go. No kidding, this stuff is soooo good and so easy. Peel and cut ginger into paper thin slices, stack together and cut into thin slivers. Add cranberry sauce, salt and pepper…mix and bring to a simmer. Lumps ok. Simmer on a gentle heat for about 10 minutes. Cool, store and refrigerate…(keeps well). (Don’t be put off by the canned cranberry part…it really is good!) Happy Thanksgiving!! Hey, thanks. Don’t forget about the cranberry relish. Happy Thanksgiving to you and yours! This looks so good, i will give it a try! This does sound good! There are so many delightful recipes that use cranberries,makes it really hard to decide which one to use. My niece made a cranberry Salas with cream cheese..it was so good!😋 Happy belated Thanksgiving ! 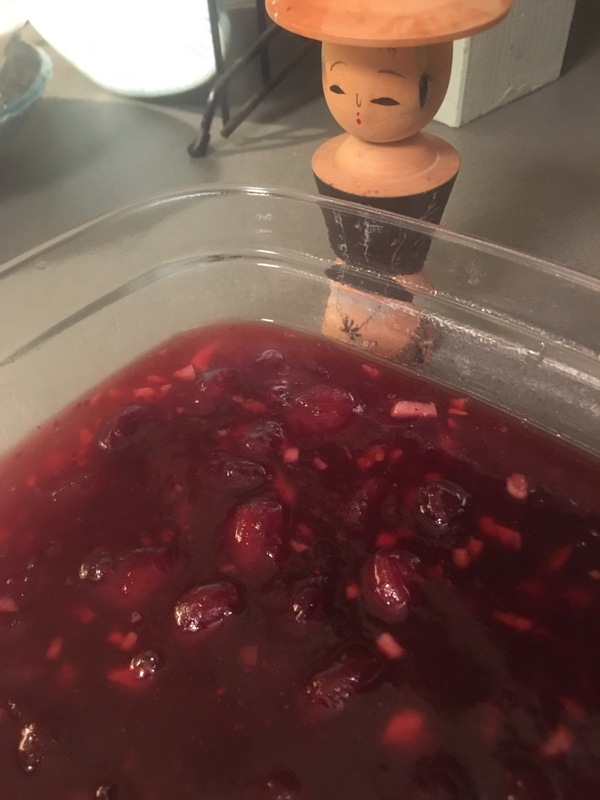 My mum makes a cranberry ginger sauce that’s so good.